This entry was posted in Beauty, Haiku, Just for Fun, Mystery, Nature, Poetry, Summer and tagged ants, haiku, lily, markings, Morse code, photography, plants, poem. Love this shot you always pick such interesting angles. This makes me smile! thanks Melody! A Debbie smile released in the world is a powerful force!! 🙂 Thanks Debbie! So it is, you clever poet 🙂 But what does it say? Are the ants telling? Very sneaky! But I think ants would soon figure out the truth of the message. They are so clever. 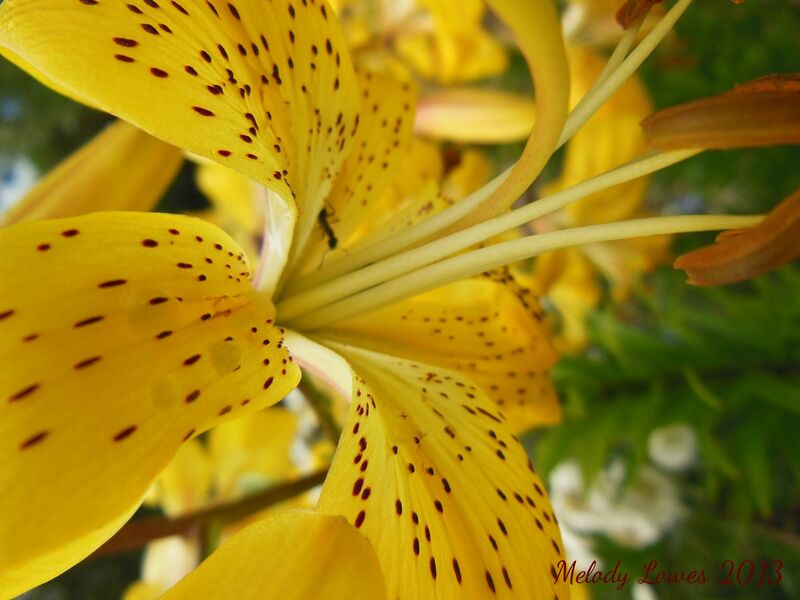 Wonderful haiku and photo, Melody! The ants will definitely decipher it. Loved it! The last line was such a 🙂 surprise, great haiku! Unwelcome guests at every picnic… 😦 Thanks Rosy!